Maria Montessori recognized the special value of time outdoors to learning and development and at Sandwich Montessori we couldn’t agree with her more! Montessori saw that children’s natural curiosity about the world exploded in the outdoor environment, saying; “the best way of invigorating a child is to immerse him in nature”. The benefits of outdoor play for children are well-documented and multi-faceted. 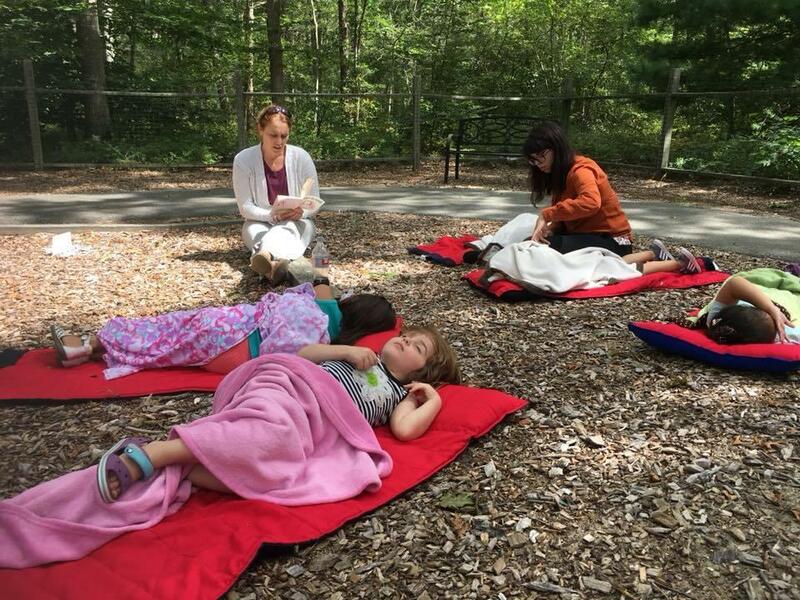 At Sandwich Montessori School, we have a beautiful, two-acre, wooded campus where our students spend large amounts of time learning outdoors in our classroom without walls. The outdoor environment has been intentionally designed to support Montessori learning, and build that vital connection to our natural world that many of our children are missing out on in today’s world. It’s far different from any other early education center you’ll see! So why is outdoor play so important? Children that play outside are usually happier and calmer. We seem to instinctively know that being outdoors has huge emotional benefits; most adults would name the outdoors, or nature, as the place that they are most at peace. We often suggest some fresh air or a brisk walk as a way of calming down or feeling better, and rightly so! Being outside causes the human body to produce more serotonin; the ‘feel-good’ chemical in your brain. Serotonin alleviates anxiety, and boosts happiness and a sense of wellbeing. For children in particular, this brain state lays an important foundation for learning since a calm, happy mind is a mind that is ready to learn. Our staff notice that children are happier, calmer and in a more open state when they have had time to play outside. 2. Being outdoor lowers cortisol and increases Vitamin D.
As well as higher levels of serotonin, being outdoors also leads to lower levels of the stress-hormone, cortisol. Less cortisol means less anxiety and less tension. Being outdoors has immense physical benefits to humans! Being outdoors allows for exposure to the sun and plenty of fresh air. Both of these things have significant health benefits for humans. Exposure to the sun causes the skin to produce Vitamin D which helps the body to absorb calcium thereby increases bone density. 3. Children that play outdoors usually sleep better! Exposure to natural light also has the benefit of regulating our circadian rhythm, that is the rising and falling of our biological processes that tell us when to wake and when to sleep. Late afternoon exposure to natural light is recommended in helping children to develop healthy sleep patterns. 4. Outdoor play strengthens the immune system. It’s important to set our children up to maintain healthy lifestyles as adults. If children get into the habit of being outside they will most likely continue to enjoy this as adults. Moving and playing outdoors increases cardiovascular health, burns calories and builds muscular strength. Playing outdoors and in nature also has benefits to the immune system. Exposure to bacteria in the soil helps to boost and build up our natural immune defenses. No wonder that children love mud! The children at Sandwich Montessori School love getting involved in digging in the mud, planting seeds and tending to plants, helping to build up those healthy immune systems! 5. Outdoor play teaches children important life skills. The outdoor environment lends itself to large scale movement and activity that doesn’t always work well inside. For example, running, climbing, jumping in puddles, learning to propel bikes and scooters with bodily movement and so on. These kinds of movements are skills in and of themselves, greatly contributing to children’s overall sense of balance, gross motor skills and control over their bodies. Yet it is not just the practicality of learning to run, ride a bike, climb a tree etc that occurs in the outdoor environment but everything that these masteries encompass. For example, in learning to climb a tree a child learns to estimate measures of space, to weigh up risk, to assess the best route, to problem solve and change course, a sense of gravity, and self-limitation and so on! As well as all this, movement plays a really important role in brain development. As children move, they sort through, process, make sense of and ‘file’ their thoughts. This is why you often see an upset child rock themselves or an excited child flap their arms as they explain an idea. Movement has profound benefits to children’s brains, and the outdoor environment promotes movement on a larger scale; playing outdoors builds brains! 7. Outdoor play encourages healthy risk-taking. 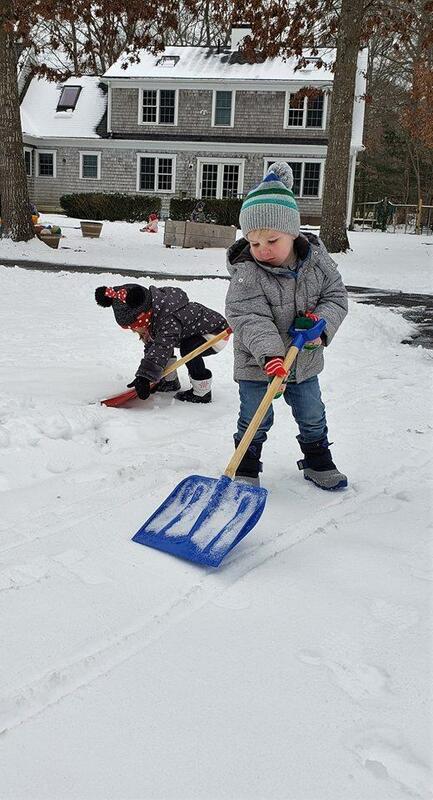 Outdoor play also requires children to take a certain amount of “risk” and helps them discover what is safe. This isn’t about putting children in danger, just about taking a step back and allowing them to take part in activities where the outcome is not certain. Risk-taking in play helps children by testing their physical limits, developing their perceptual-motor capacity, and learning to avoid and adjust to dangerous environments and activities. In playing at the edge of their capabilities, children expand their limits; we love seeing just what the children are capable of! Learning through this safe and healthy risk-taking leads to a ‘I can do it’ mindset, which supports success, and contributes to children’s long-term emotional well-being and resilience. All this from climbing and jumping outside! 8. Outdoor play encourages care of the earth and an appreciation of the outdoors. Allowing children to play outdoors all year round offers them a rich, tangible, meaningful experience of nature and the seasons. It develops their understanding of how things happen and why things work, allowing them hand-on experience of natural processes. For example, playing with ice leads to understanding of temperature and the physical processes of freezing and melting. Along with Maria Montessori, we at Sandwich Montessori School believe “it is also necessary… to place the soul of the child in contact with creation, in order that he may lay up for himself a treasure from the directly educating forces of living nature” or put more simply, that playing outdoors is really important! At Sandwich Montessori we have a huge outdoor space for children to learn, play, and enjoy! Come see if Sandwich Montessori is right for your family! Call us today to schedule a tour at 508-403-0118. Want More Information On Sandwich Montessori School? Click Here!